Social media marketing continues to be a powerful tool for both online and brick-and-mortar companies. The dynamic nature of social media requires a commitment to keeping your marketing fresh and up-to-date. Boring, stale and static campaigns will not attract the click-throughs you want. Here are some ways you can inject renewed life into your social media marketing. Plan for what you want to accomplish: When you know what you want your social media marketing to do for you, you’ll be able to update your campaigns to make it happen. If you want to attract customers from a different social or economic demographic, for example, you’ll need to plan and execute fresh marketing designed to appeal to that segment of potential customers. Present a consistent brand image: Maintain a consistent brand identity and image across the various social media platforms. The postings made under the company identity on Facebook should not be dramatically different in tone or content from the tweets you send through Twitter. Generate content: This type of marketing thrives on content. Produce content that’s valuable to your social media followers, and keep things interesting by mixing text with video, photographs or illustrated graphics. Use your company blog for additional promotions and for genuine interaction with your customers. Provide personalized links: Make sure your marketing materials link back to your social media activities and website. When you find another online resource that could be valuable to your customers, write about it on your blog and provide a link to it. 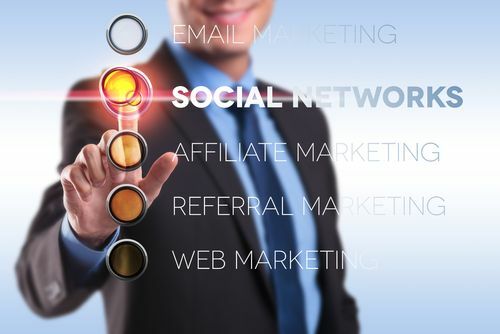 This builds credibility and trust and shows your customers you’re connected to their interests. Take advantage of analytics: Use the services of social media analytics and sources such as Google Analytics to help measure the results of your marketing efforts. Check what’s going on online: Monitor your online reputation and what’s being said about your company on other blogs and forums. Take the time to see what your competitors are doing with their social media marketing. How could a revitalized social media marketing program help your company reach more customers and enhance its reputation in the online world? Pingback: Marketing Tactics That Can Become Mistakes if Not Done Right | Continuity Programs Inc.